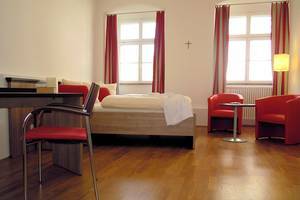 The Obermarchtal monastery has 105 beds in three buildings. The 56 rooms are comfortable and practical. Half of the rooms have a bathroom with shower and WC. The others have access to a shared bathroom with WC. We provide you with a fluffy bathrobe to wear when you go from your room to the bathroom. If you wish, we can put a TV in your room. There is something for everyone – whether you are arriving as a group, or travelling on business on your own and need a single room. 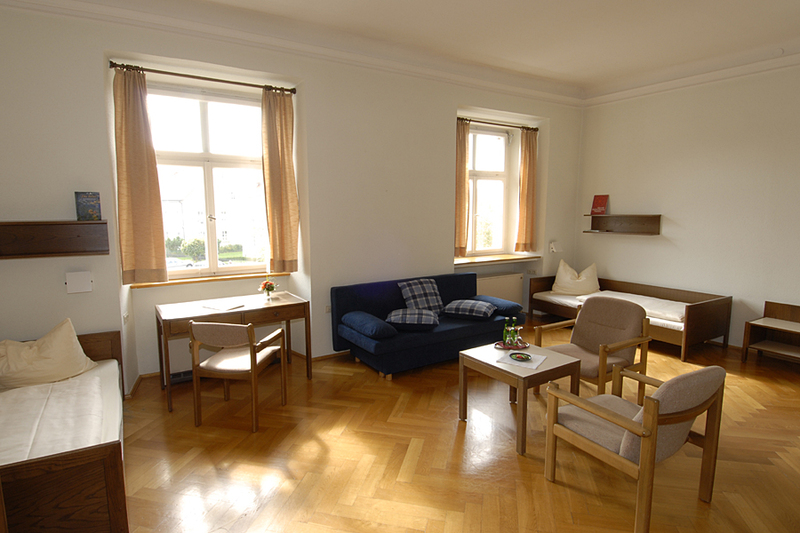 The images of our centre that you can see here are only examples: all the rooms are different sizes, and are individually furnished and equipped. 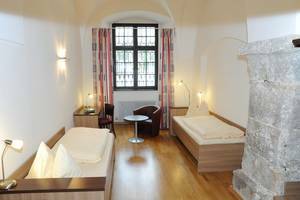 The Obermarchtal monastery has 5 single rooms with shower / WC and 9 single rooms with shared shower / WC. Every room has a desk with lighting and plenty of storage space for clothes and other important items. Our guests have the option of relaxing in either one of the 20 double rooms with shower / WC or one of the 15 double rooms with shared shower / WC. 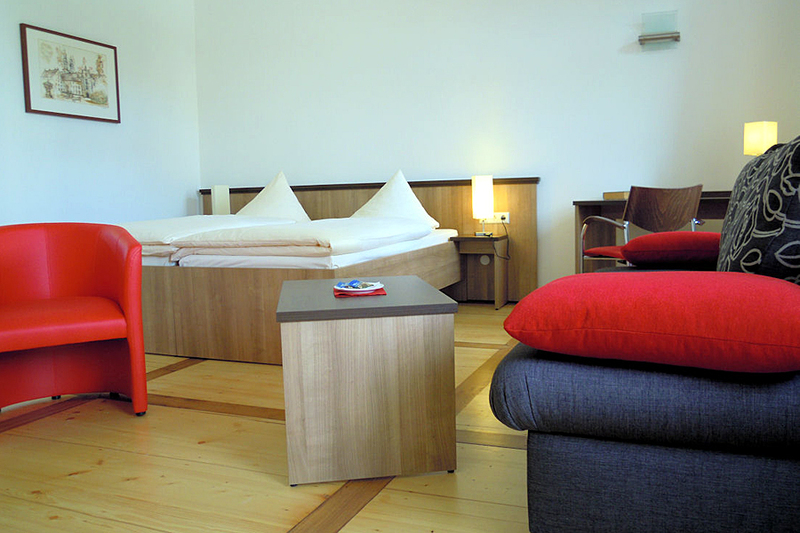 The rooms can be arranged with double beds or single beds, according to your requirements. 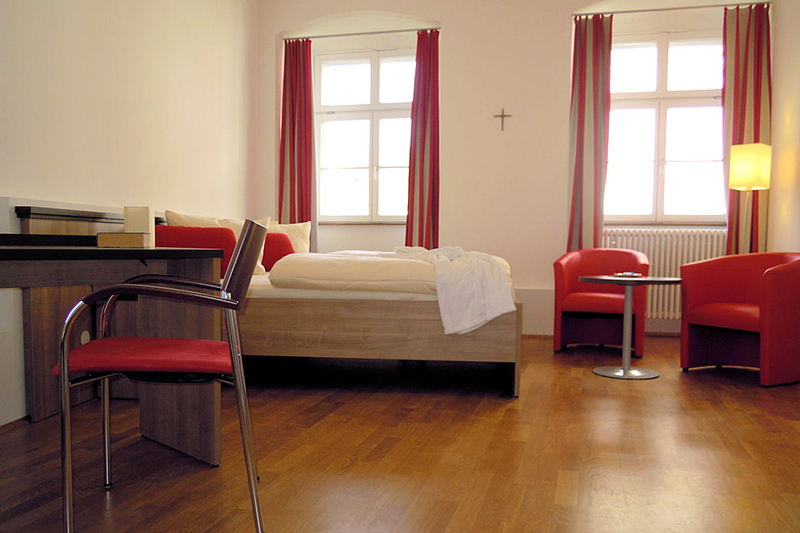 Some rooms can be shared rooms with additional beds, though it is also possible to arrange them for single occupancy. 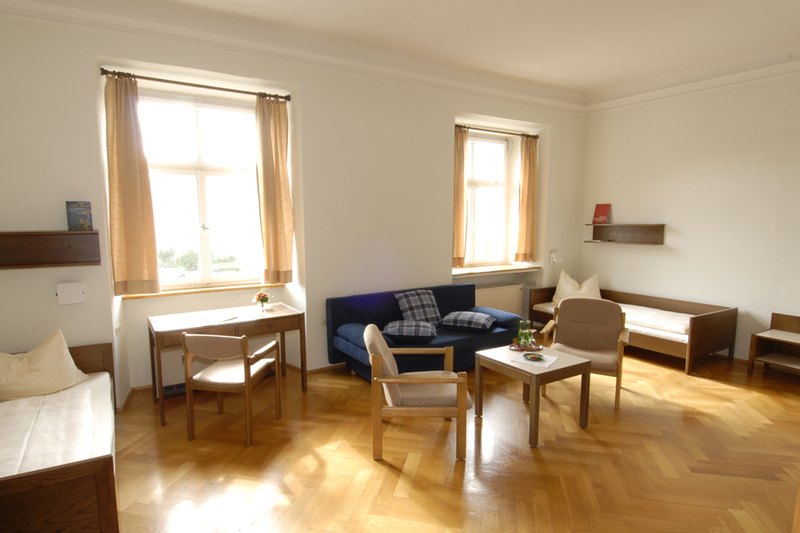 Every room has a desk with lighting and plenty of storage space for clothes and other important items. Some have an extra seating area. Please contact us if you will be arriving after 6 pm. No smoking is permitted in any of the public areas of the house, or any of the bedrooms. There are some designated smoking areas. For larger groups and families we can provide additional beds or cots in the rooms. There is no charge for children aged up to 3 years sleeping in their parents' room. For children aged between 4 and 13 the charge is half the normal rate. We provide high chairs in the dining hall. There is free public parking in the monastery grounds; there are also parking places for coaches.